Perfect for those who have the perfect shelf material already, and don't want to use traditional brackets. 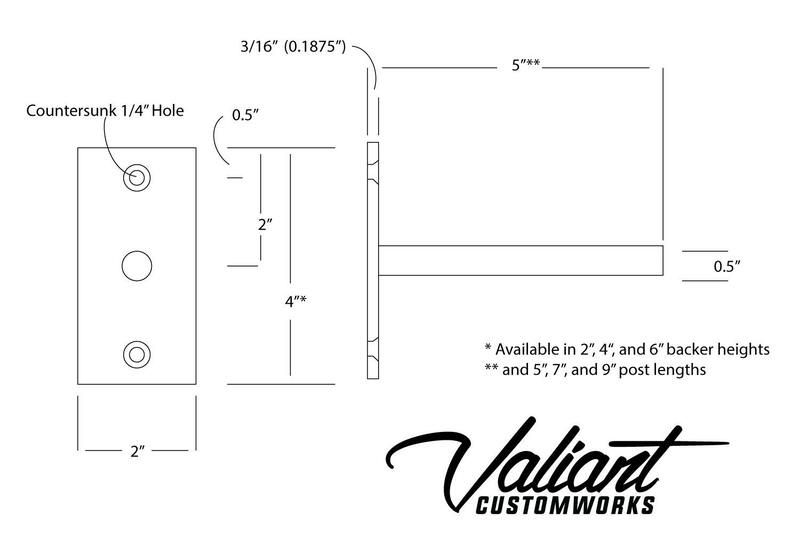 These are intended for shelves that are from 1.75" up to 6" thick - please choose the height based on your shelf thickness. Backing plates are 2" wide and 3/16" thick. If you don't see what you need, drop me a line, I'll gladly add it. If you need help engineering a solution for something larger and heavier, I'm you're guy! Drop me a line! We recently designed a solution to mount a 7' long 12x6" beam as a mantle, and it turned out great! They come unfinished. Pricing is per SINGLE PIECE. This product was solidly constructed. The manufacturer was easy to contact regarding product specifications and gave excellent installation instructions. Our shelves look great!